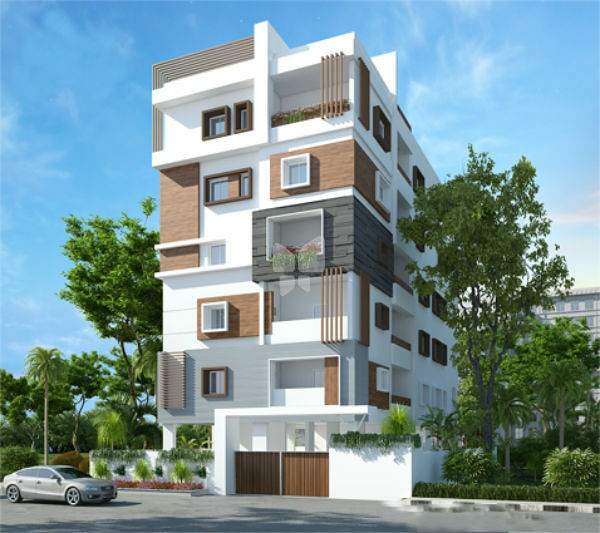 How Far is Unitech Brahma? Welcome to Brahma at North Town in Perambur, Chennai - a premier residential development & experience a life of fulfillment, self realization and calmness in your daily life, Brahma located in the north-west corner of North Town, offers homes in 1, 2 & 3 bedroom apartments to suit individual lifestyles, These towers extend upto 14 storeys high in a sanctuary that keeps out the hustle & bustle of the city, The sanctified Jain Temple in the premise offers peace & tranquility, All apartments at North Town are designed in conformity with ‘Vastu’. Living/Dining/Bedrooms - Vitrified tile flooring. Common Areas & Staircase - Hard stone. Lift Lobby - Stone/vitrified tiles. External - Good quality exterior paint. Internal - Oil bound distemper. Lift Lobby - Combination of hard stone & paint. One passenger and one service lift to each tower. Flooring - Ceramic tile flooring. Wall Finishes - Selected ceramic tiles upto 600mm height above the counter and OBD in other areas. Kitchen Counter - Granite counter with stainless steel sink. Internal - Seasoned hardwood frames with flush doors. External - Anodized/powder coated glazed aluminium doors. Main Door - Seasoned hardwood frames with moulded European style shutters. Wall - Selected ceramic tiles upto ceiling height. Fittings - EWC & wash basin in white colour, modern CP fittings, granite counter, pipelines for geyser. One telephone jack each in living room and master bedroom. 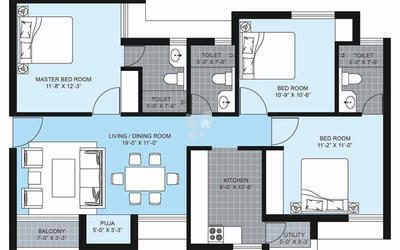 A.C. Point provision in all bedrooms & living room.